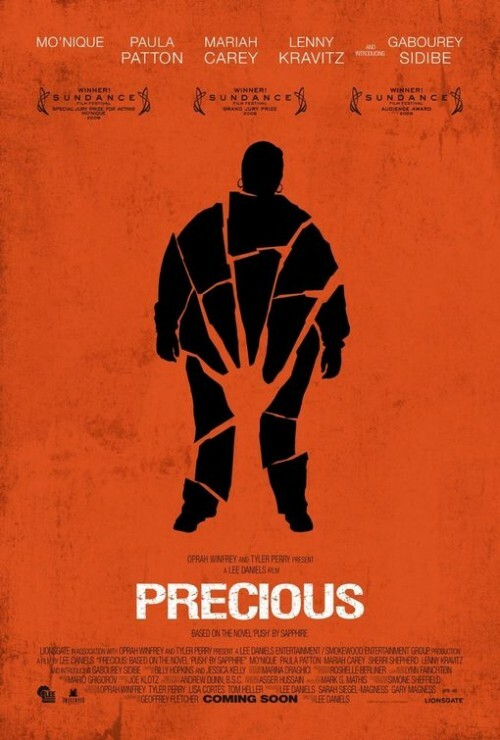 This Friday, November 20th the movie, Precious, based on the book, Push by Sapphire opens nationwide. On December 11th, Disney’s Princess and the Frog opens nationwide. I’ll be going to see at least one of them on opening night, likely the Disney movie because I have a little one. Movies don’t stay in theatres very long anymore so opening night has become increasingly important. As much as I hate that fact, it’s still a fact. Although international sales and DVD sales can all lend to a movie’s overall success, it’s opening night that deems how successful it’s perceived. Strong opening numbers should put one more nail in the coffin of the myth that people of color don’t significantly support “their own” movies. At the very least, it’ll put a nail in the coffin of the new myth that we’ll only go see Tyler Perry movies on opening night. Based on subject matter, both movies should appeal across racial barriers. Like *ahem* many stories by and with people of color in them do. Although Precious is about a young adult, I don’t really consider Push a YA novel. However, the movie’s success may lead filmmakers to take a closer look at the various YA novels out here by brown authors. There’s a vast untapped resource of brown children’s stories that can be adapted to film being totally overlooked. It’s only taken the Mouse House about 40 years to put a black princess as lead in a film. I know that actually sounds like a good reason to thumb our nose at them and say screw their late to the table offering, but in the name of playing the cards we’re dealt – it’s here now, don’t support it at your own risk. Who knows if we’ll ever get this chance again. The Disney movie is cause for joy. In my day, Disney movies were primarily about animals and old-school fairy tales. I remember seeing Bambi at the theatres. The new-school princess age was in full boon when my oldest daughter was in her Disney prime. So this new movie comes at a perfect time for my youngest daughter. Better late than never ever. Efforts like The Brown Bookshelf come down to dollars. No matter how many blog posts and showcases we do, if people don’t purchase the books we highlight we’re truly singing in the wind. I choose to see these two movies as opportunities to stand behind all we say in the blogosphere. I hope their success trickles down to other literary works and to more diverse Disney projects. I hope! I’m definitely going to see them both and read Push 🙂 You’re so right though, better late than never (Disney having a Black princess) although I wish she didn’t spend the majority of the movie as a frog. Ah well, hopefully lots of people will go see the movie, buy the products (like the Carol’s Daughter line), etc. and Disney will make more diverse movies! This is probably not really the best place to ask this, and I apologize. Great post, Paula! I will be there to see Princess & the Frog too. I lead a girls book club in NC. The girls are so excited to finally have a princess on film who looks like them. Also, everyone, please support Natasha Anastasia Tarpley. She’s author of the beautiful picture book, I Love My Hair, and many others. 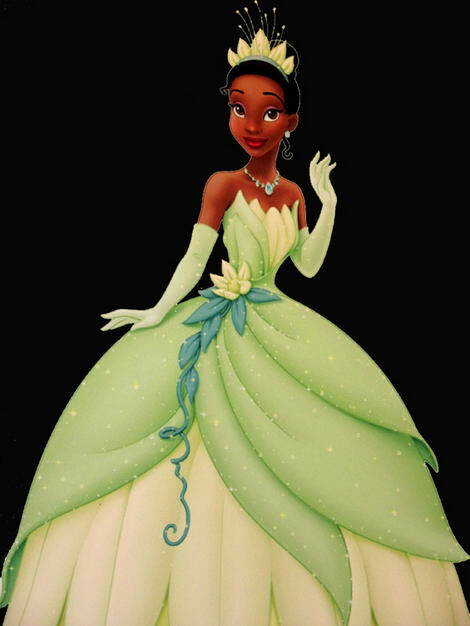 Natasha wrote the hardcover picture book, The Princess and the Frog: Princess Tiana and the Royal Ball (Disney Press, $15.99). If you are buying any gifts for little girls in the “princess age group” BUY THEM PRINCESS TIANA paraphernalia! Especially on the birthday party circuit and for Christmas. My 6year old has attended two parties since products have been on the market. The first little girl (who was having a Bratz themed party), got a Princess Tiana blanket. The second little girl, who is white, got a Star Wars book (the theme of her party) AND a Princess Tiana book. I usually have a $10 budget on these birthday party gifts, but I have been going over that to support these Tiana products. I want to make sure Disney knows we WILL support people–er, cartoons–who look like us. Well said. 🙂 I am hoping to see a black princess when I go to Disney World at the beginning of December. Ooh great idea about buying Tiana. I had a booksigning last month and bought a Tiana book. Though I was a little disappointed in the story itself (it was more a generic re-telling of the movie than a true story)I’m glad I bought it. I’m doing all I can to make sure I support this movie and its merchandise. I plan on taking my niece to see the Princess and the Frog. 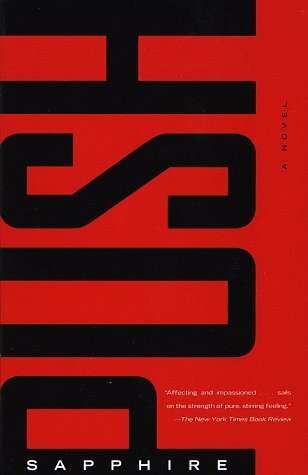 Push is a novel that I was going to recommend to teens based only on the movie preview – until I actually read it. I’ve seen and read a lot of fairly mature movies and books but this is one that I could barely finish. There is no way that I would recommend the book to anyone but I am still excited about the movie. Unfortuneately, I think that teens will then go to the book. Yikes! I’m as liberal as they come when it comes to what a teen can read. But Push is raw! I agree, it’s not something I’d ever recommend for a young reader. I assume the movie is focused more on her redemptive journey and not the abuse. Still haven’t been able to get my date night to go. I couldn’t agree with you more that we need to vote with our wallets and support the heck out of the movie and the merchandise. As annual passholders, we visit Disneyland often. I haven’t seen this much hype at the park for a film’s release EVER. 🙂 They have added a Tiana’s riverboat cruise, are giving free tickets for the movie (child’s admission) with your ticket or pass, and are distributing bookmarks at all of the restaurants. Very exciting indeed!